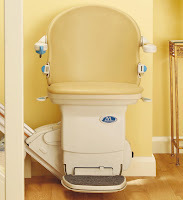 Castle Comfort Stairlifts offers top brand stairlifts, keen prices and fast installs for all those seeking stairlifts in Wolverhampton, West Midlands . And all work comes with our no-quibble guarantees and famous customer service satisfaction. Here we are in Wolverhampton in the West Midlands so hello Wulfrunians or Yam Yams if you prefer! These nicknames sometimes seem quite bizarre. The term Wulfrunians comes from the history of the town; Wolverhampton is named after one Lady Wulfrun who is said to have founded a ‘landed estate’ at the place now known as Wolverhampton. This was in the year 985; prior to this she had founded a convent at Tamworth. You’ll still find references around the town to Wulfrun i.e. The Wulfrun Centre or Wulfrun Hall. Wolverhampton has a nickname of its own and is often called Wolves or even Wolvo. Castle Comfort Stair Lifts’ Wolverhampton office is happy to help anyone in the area looking for a stairlift for themselves or a loved one. We know that approximately 1,200 retired people in the area already own one; you can see how we keep up to date with figures via the rolling counter on our homepage. We know these figures change constantly so if you find yourself in need of mobile assistance up and down the stairs, check our stairlift comparison, see if you like our stairlift prices and give us a call on 01902 489 422 for more information. Wolverhampton’s Premier League Football Club is also affectionately known as Wolves. It is one of the oldest Football Clubs in the UK and one of the 12 founder members of the Football League. Over the years Wolves have won 2 FA Cups and 2 League cups and have reached the final of the UEFA Cup. They have had a number of high profile players including Billy Wright, Emlyn Hughes, Wayne Clarke, Robbie Keane and Wayne Hennesy amongst them. Famous managers include Tommy Docherty, Graham Taylor and Glen Hoddle. As a small market town, it was once famous for its wool production; by the Industrial Revolution it had become a major industrial town with coal and limestone mining and iron ore at its core; followed by the production of steel, japanning (Asian lacquer work), locks – Chubb locks still have a presence in the town - motorcycles and cars. Now its economy is engineering based including the aerospace industry and the service sector. How times change! Car production in Wolverhampton has been lead by Sunbeam who had previously built bicycles and then motorcycles. 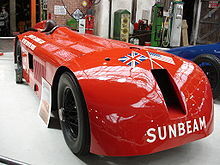 Along with their Sunbeam cars all carried the trademark brand name Sunbeam. British composer Edward Elgar was a big Wolverhampton Wanderers fan and often travelled to games on his bicycle – a Royal Sunbeam of course. They built several cars that beat the land speed record including the first car to break the record at over 200 mph. The car a Mystery aka Sunbeam 1000hp broke the record at Daytona Beach in 1927 driven by Henry Segrave. The car is now on show at Beaulieu Motor Museum in Hampshire. Sunbeam also built several Grand Prix winners too – it was the only British make to win a Grand Prix in the first half of the 20th century. Sunbeam Talbots were built for the road up until the beginning of the 1980’s. Another car producer in Wolverhampton was Kieft Cars best known for Formula Three cars in the 1950’s and for Stirling Moss as their driver. Are you built for the road? Or have you seen better days ... if your wheels aren’t running as smoothly as they once were, Castle Comfort Stair Lifts are here to help. 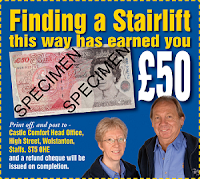 We can fit a stairlift to meet your requirements and those of your staircase in no time at all! We can literally complete the installation within an hour once we’ve assessed which stairlift is for you. And our after service care is second to none so that you can be sure that your stairlift won’t leave you stranded at the top or the bottom. Why not give us a call now to get the wheels turning on 01902 489 422 . 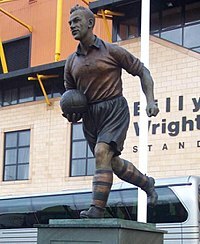 Footballer Billy Wright played for Wolverhampton Wanderers throughout his football career and captained them to win the FA Cup 3 times in the 1950’s. Wright joined Wolves as ground staff and played his first game for a B team at age 14; by 17 he was playing for them professionally give or take a break or two during WWII when the club didn’t play. Wright also played for England more than 100 times, captaining the England side on 90 occasions. Richard Attwood aka Dickie was born in Wolverhampton and was ‘bitten by the motor racing bug’ at an early age. He raced Formula Ones for the BRM, Lotus and Cooper teams during his career and won the Le Mans 24 Hours in 1970 driving a Porsche. British Javelin Thrower Tessa Sanderson grew up in Wolverhampton and competed in 6 Olympic games. She won gold in 1984. Gold medallist Denise Lewis is a Wolverhampton girl. She specialises in the Heptathlon made up of 7 track and field events. She won her gold medal at the 2000 Olympics in Sydney. One of the directors of Wolves FC is Baroness Rachael Heyhoe-Flint best known as a cricketer. She captained England’s Women’s Cricket Team for more than 10 years and played in 22 test cricket matches. British soul singer Beverly Knight hails from Wolverhampton; Robert Plant singer with the legendary Led Zeppelin grew up in the area; Jamelia lives in here; Kevin Rowland front man in Dexy’s Midnight Runners is also from Wolverhampton. Comedienne and actress Meera Syal was born in Wolverhamptom. Actress Frances Barber was also born here, whilst comedian Eric Idle part of the Monty Python team went to school here. One other celebrity we must mention is food writer and television presenter Nigel Slater who was born here and spent the early years of his life in the town. Making the most of your time in Wolverhampton makes sense. If you’re still considering a stairlift, watch our founder Keith’s video for inspiration and then pick up the phone and call us on 01902 489 422 . Use our £50 voucher towards costs or look at grants or 0% finance so that you can get started now. We look forward to hearing from you!